When you are removing applications using the uninstaller from Nektony, you may face an error with deleting some service files and folders. In this case, the uninstaller tool shows the exclamation mark next to the file name in the Removal window. There are running processes in the background related to the app. The apps have kernel extensions. The files are protected from removal by System Integrity Protection (SIP). Some subfolders in the ~/Library are protected from changes. The app has wrong permission for the configuration file. After understanding what is causing the issue, you will be able to uninstall the apps completely. Here’s how to do that. 1. There are running processes in the background related to the app. Before starting uninstalling any app, you should check whether all its working processes in the background are closed. 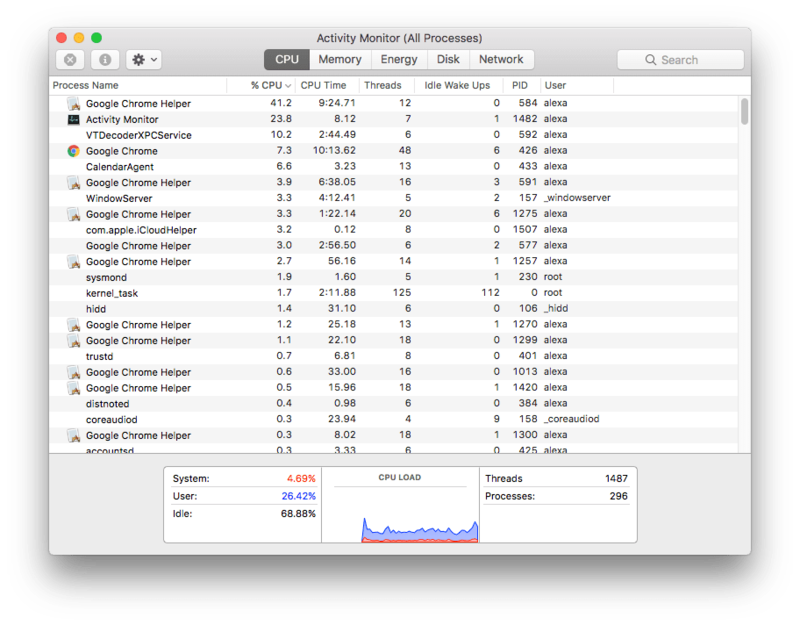 For this, use Activity Monitor. Close the processes and try again to uninstall the apps or remove their specific files. 2. The apps have kernel extensions. Some apps create kernel extensions which are able to protect themselves from being removed. Also, kext files can protect other service files and folders from being removed. 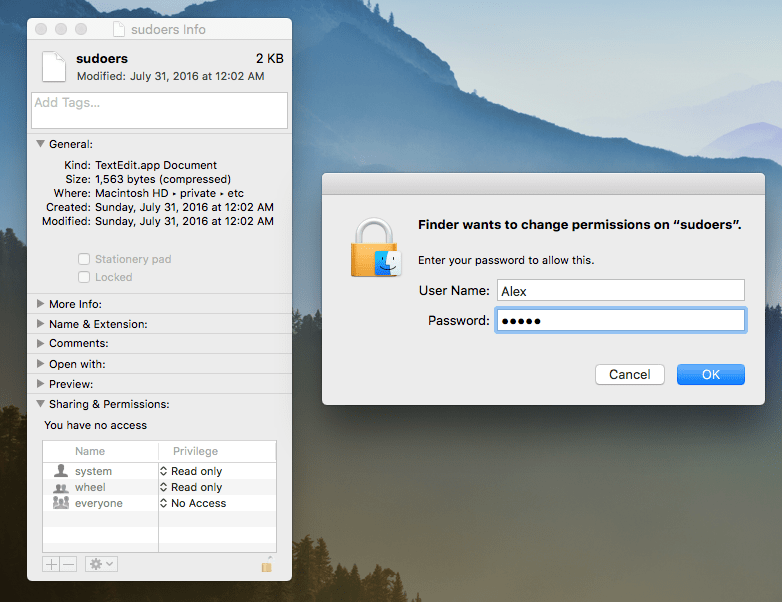 It’s impossible to remove such files to Trash, as Finder ignores the removal command. 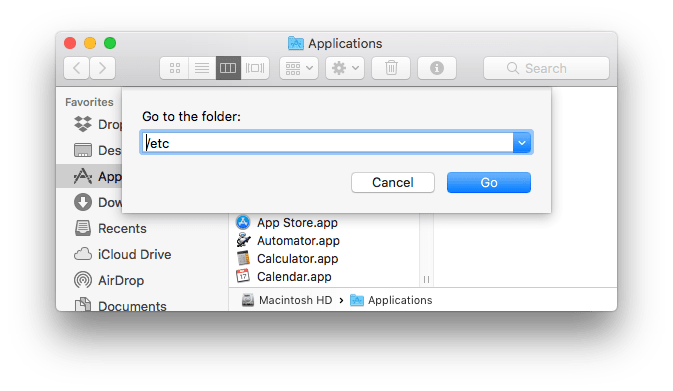 You can remove kext files only in the recovery mode of your Mac. Learn in our previous article how to uninstall kernel extensions. Removing kexts will allow you to delete all other service files of the problematic application. 3. The files are protected from removal by System Integrity Protection (SIP). Apple forbids modifying system items on Macs. The SIP limits the actions that the user can perform on protected parts of the Mac operating system. The problem is that, even if you have a third-party application, it may be able to create files that Apple thinks are default system files. In this way, such applications protect themselves from being deleted. Restart your Mac and press Command+R key shortcut while the reboot is in progress. You will see an unusual startup window – this is the recovery mode. In the Menu bar click Utilities → Terminal. 3. Press the Return key. You will see that your System Integrity Protection is disabled. 4. Restart your Mac and delete the problematic files. After you have deleted the files, don’t forget to re-enable the System Integrity Protection in order not to remove other important apps and files by mistake. For this, again restart your Mac → use Command+R shortcut → open Terminal and this time type the command csrutil enable. Then restart the Mac. Once again, you should understand what files you are removing. If you are not exactly sure what you are doing, it’s better not to attempt it! 4. 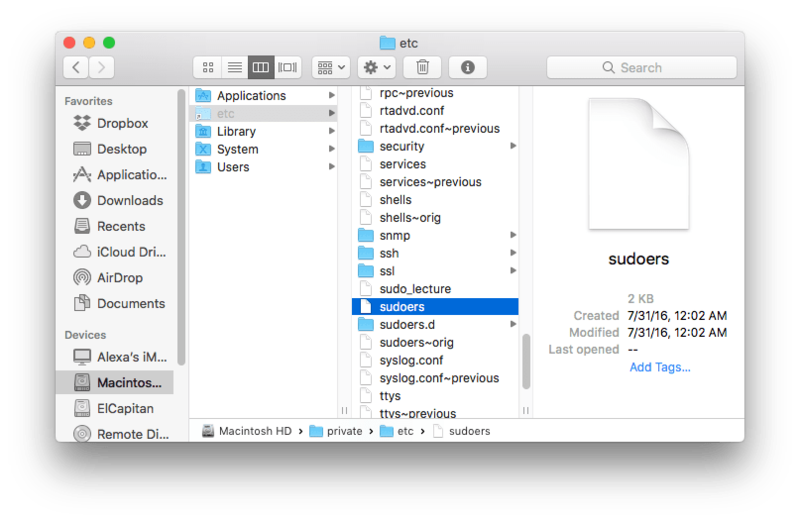 Some subfolders in the ~/Library are protected from changes. 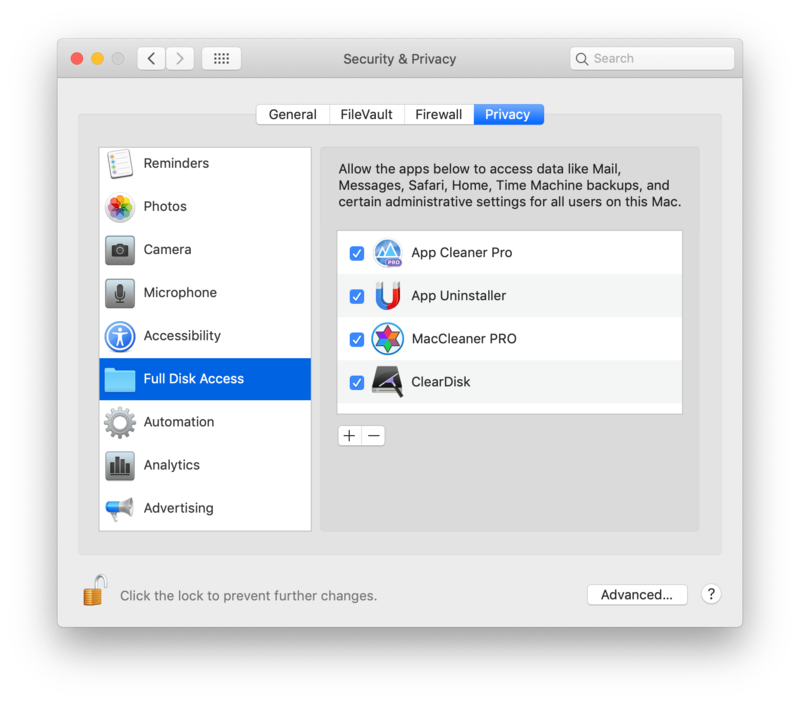 That’s why to allow the uninstaller tool to remove apps completely, you need to add it to “Full Disk Access” in the System Preferences. 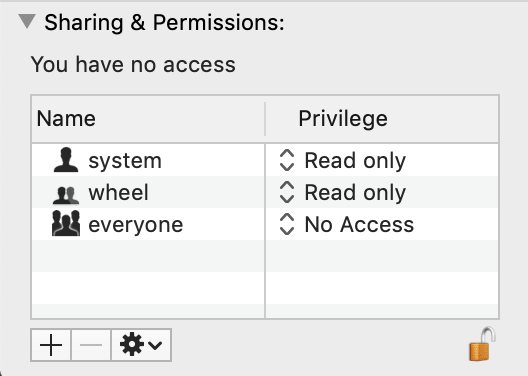 For this, go to System Preferences → Security & Privacy → Privacy → select the Full Disk Access section → click the Lock icon to make changes → click the Plus icon → add the uninstaller tool from the Applications folder → click the Lock icon to prevent further changes → close Preferences. Now launch the uninstallation app and try again to remove the app that you faced an issue with. Now the issues connected with this reason should be solved. Open Finder → go to the Menu Bar and click on Go → select Go to Folder… → in the search field type /etc and click Go. In the Sharing & Permission section click on the Lock icon in order to make changes. You will be asked to enter the administrator’s password. 6. Click on the Lock icon once again in order to lock editing. After you have followed through with these instructions, return to App Cleaner & Uninstaller and try to remove those files again. The issue should be solved. If you are still experiencing issues with deleting specific service files or folders, please don’t hesitate to get in touch with our support team.